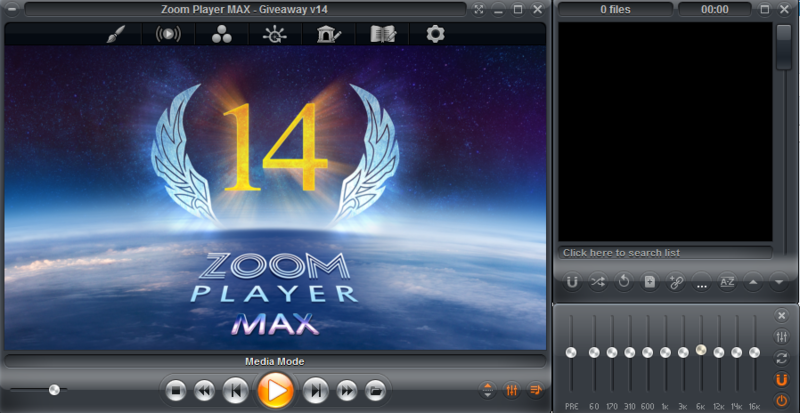 Zoom Player MAX 14 was available as a giveaway on July 14, 2018! Beyond Zoom Player's classic media player look, hides powerful Media Center features designed with an intuitive fullscreen navigation interface. The 5-Key (up/down/left/right/select) fullscreen navigation interface includes intuitive interfaces such as the Media Library, File Browser, Playlist, Color Control, Audio Equalizer, Bookmarks, Play History, Subtitle & Audio Stream Selection and many more. In fact, with Zoom Player, you can instantly Convert any PC into a Home Entertainment Center (HTPC) with no specialized hardware or operating system requirement. With Zoom Player's Install Center, your computer is always securely updated with the latest verified media playback technologies. For a video tutorial detailing how to use the Install Center, click here. How would you improve Zoom Player MAX 14? Ever since Winamp was killed there was no better player for windows. The nearest player I would recommend is vlc for playing 99% of formats for free only lacks are its weak library and numbers of plugins. I signed up with the form from the developer, but never received the activation key that was mentioned. (Perhaps something to do with already having version 13, from a previous giveaway ?) Since the prior version was already installed and working, I did not mess with this new version absent said reg key, and have the possibility of ruining any presence of the program on this computer. Since the "of the Day" has come and gone, and the install time factor on these things is generally strict, I should now probably just toss the 14 installer file and wait for the next version ? I happen to believe that we need to have on call more than one of several program categories to cover various contingencies that come up, so I maintain three web browsers, 2 or 3 of this and 2 or 3 of that. It is very much the same with players. For example, I've had to run through VLC and a couple others on occasion, to confirm the presence of subtitles that were supposed to be there in a particular video file, but which for unknown reasons did not show up in one player although they did so when the file was played on another player. That sort of thing. I have found Zoom to be a capable addition to the roster of players. That said, I'd like to find out where to tone down its auto-play intrusiveness, which can be annoying at times. I signed up with the form from the developer, but never received the activation key that was mentioned. (Perhaps something to do with already having version 13, from a previous giveaway ?) Since the prior version was already installed and working, I did not mess with this new version absent said reg key, and have the possibility of ruining any presence of the program on this computer. Since the "of the Day" has come and gone, and the install time factor on these things is generally strict, I should now probably just toss the 14 installer file and wait for the next version ? I happen to believe that we need to have on call more than one of several program categories to cover various contingencies that come up, so I maintain three web browsers, 2 or 3 of this and 2 or 3 of that. It is very much the same with players. For example, I've had to run through VLC and a couple others on occasion, to confirm the presence of subtitles that were supposed to be there in a particular video file, but which for unknown reasons did not show up in one player although they did so when the file was played on another player. That sort of thing. I have found Zoom to be a capable addition to the roster of players. That said, I'd like to find out where to tone down its auto-play intrusiveness, which can be annoying at times. I did not download this software as I'm using something else but what I like very much is activity of Inmatrix team during the giveaway time. It does not happen very often that developers' team is reacting o all comments/questions almost immediately. Looks very professional and customer friendly. THANKS for that. The setup file installing version 13 not the 14! If you select the version 14 checkbox then it warns and says "You are using non-upgradable gieveaway version." John, it is v14. Please check options->about. The upgrading option if for a later version (14.1 or 14.2). John, it is v14. Please check options->about. The upgrading option if for a later version (14.1 or 14.2). I too saw that what John was talking about. When you run the download, it says that it is something like "Installer v13.9", with an upgrade option for Zoom Player v14.2. I tried selecting that only to see that the 14.2 version was not a free upgrade, so I unchecked that and continued with the installation. 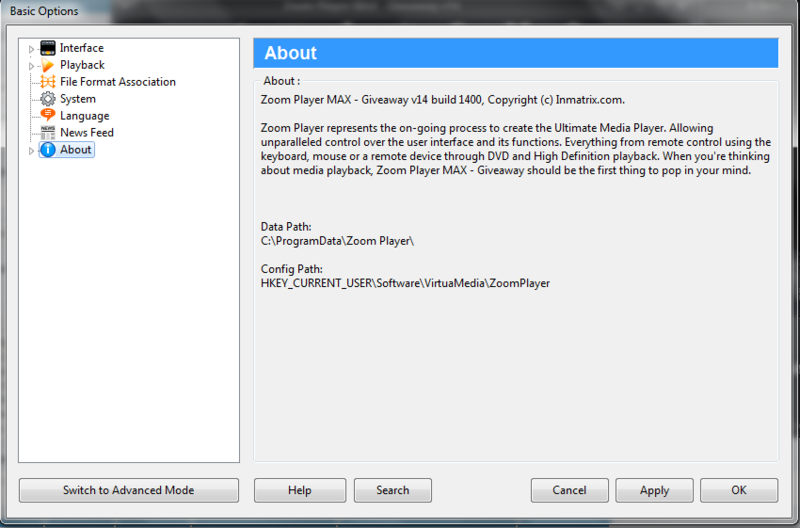 It turns out that even if the installer is v13.9, it installs Zoom Player v14 as promised. So, while seeing a lower number on the version of the installer can be a little disconcerting or confusing, it all works out as promised in the end. WOW! 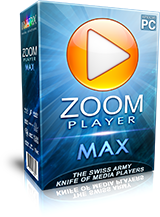 at $87.95 USD for Purchase Zoom Player MAX LIFETIME FREE UPGRADES! You're not exactly enticing People to BUY your product. AFAIK, it is 79.95$ for MAX for lifetime of free upgrades. But for 29.95$, you can purchase for one year of free upgrades, and can keep using it for many years with the same key, move computers, everything, just not upgrading it further after a year has passed. Peter C1, AFAIK, it is 79.95$ for MAX for lifetime of free upgrades. But for 29.95$, you can purchase for one year of free upgrades, and can keep using it for many years with the same key, move computers, everything, just not upgrading it further after a year has passed. Where's the download link? I subscribed to newsletter and confirmed my email subscription. headbangerharry, after entering your email in the registration page, you the download of the exe starts automatically on that page. Inmatrix, Thank you. I reregistered. That page did not appear earlier in the day for me. I loaded the program on my old XP computer and during installation that my op system wouldn't support the program, however it kept on running until the program was installed. When I tried to play a new dvd, the result was that the disc wasn't recognized and left a message that "No disc found". I don't understand this since all other player work. Port your player to other Operating Systems such as MAC and Linux. "Supported Operating Systems" Windows only. Port your player to other Operating Systems such as MAC and Linux. Krzysztofikel, TV DVB-T USB for Laptop and PC. From 1 December useless in Belgium, because the VRT stops broadcasting. Checked this player out a couple years ago, could never justify paying 80.00 for player that is just okay, installed this latest version, nothing that special, same old options, just too limited in features and options, Nothing special in the features, like others have said, compared to FREE players like Potplayer, light alloy and VLC players like this. This Program really needs many improvements and enhancement options & features to make worthwhile. So many better free Media players with much better options. ***Player still cannot even play most common M3U8 format, so all these saved playlists are useless in ZOOM, plus, apparently you can only save new edited playlist in ZOOM as only in ZPL format, that none of these other players could recognize or play. ***ZOOM still in 2018, does not even have a basic Super Hot MP4 or (Video/audio Playlist Crossfading feature) is the hottest video feature out, so we can watch music videos and clips , in a mix as many other players have been able to do for years! To auto remove hissing or feedback noises in video or audio. ***(Video 5.1 Surround option would be nice, but also could not find any options or sound effect to max or boost video sound without clipping or distorting or sound effect to max or boost all video sound, to highest best sounding Same Equal Levels without clipping or distorting, so sound does not jump back & forth too high or too low. 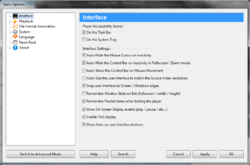 ***(Option to (Auto correct) all common video resolution, lighting or sound problems with little time and fuss required . ***Also would be better to have a complete music audio manager option of all songs and playlists on Ipod or mp3 player, so can back up, or transfer Back & forth all playlists songs from Ipods to PC without using Itunes or other 3rd party software. Interestingly enough, Inmatrix uploaded 2 Zoom Players on Major Geeks just 4 days ago. Both apps are the same size and both are versions 14.2.0 which makes them, supposedly, newer than the one offered here today. One is a Freeware and the other is the MAX Shareware. Same can be seen at Softpedia too. Still, Zoom Player is a very neat, comprehensive and chock full of goodies application that will not disappoint anyone even if an ironclad VLC or Pot supporter. I made it my default player. Interestingly enough, Inmatrix uploaded 2 Zoom Players on Major Geeks just 4 days ago. Both apps are the same size and both are versions 14.2.0 which makes them, supposedly, newer than the one offered here today. One is a Freeware and the other is the MAX Shareware. Same can be seen at Softpedia too. Still, Zoom Player is a very neat, comprehensive and chock full of goodies application that will not disappoint anyone even if an ironclad VLC or Pot supporter. I made it my default player. Nice! Even Windows XP friendly! I was forced to received the download via my email address as there was no option to the Facebook. I reluctantly supplied my email address. However once I opened the email I found I was required to sign up for newsletter in order to receive the download link. That was the deal breaker for me. Maybe I can opt out of these newsletters. I will never know because I won't do it. Keep your player. Thank you for the offer but I will stick with my free, no hassle media player. dadams, they send you a link to confirm your email address for their newsletter. If you don't want the newsletter don't click that link. Seems like BLA's comment may not have been that far off. Sorry BLA. Perhaps Inmatrix might care to weigh in on this ?? Does it work in 'safe mode' ? Seems that it does not do anymore than VLC does, and VLC is freeware. No thanks. VLC is a bit clunky by comparison. If you compare the 2, Zoom seems nicer. Frankly I use Zoom much more often. C OD, I have VLC myself. Had it for years. It's nice'ish.... VLC is a bit clunky by comparison. If you compare the 2, Zoom seems nicer. Frankly I use Zoom much more often. C OD, you are so wrong! 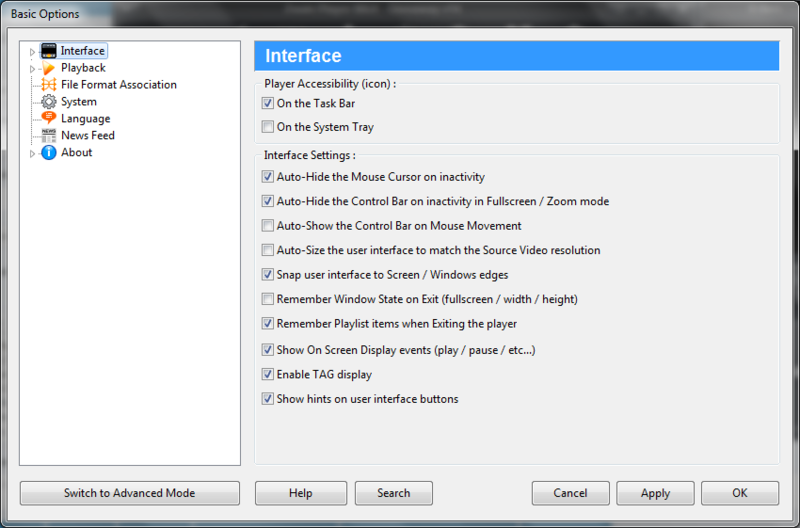 I bet you haven't even looked at Zoom Player's feature set. Specs indicate this will run on XP. Downloaded and tried to install on XP system, got a message that the operating system was not supported. Tried both Standard and Legacy versions, no luck. XP not supported? Mbi, same here in my very old, updated Windows XP Pro SP3 machine (512 MB of RAM). :( Let's go ask its support. Mbi, this message on my XP only related to the latest LAV filters. Apart from that everything appeared to install and it works fine. Try running "Install Center" first and then Zoom Player. Mbi, all Windows OS are supported. Running the Zoom Player install center is a must, as it downloads and installs codecs used for playback. On which installation did you get this message? Mbi, all Windows OS are supported. Running the Zoom Player install center is a must, as it downloads and installs codecs used for playback. On which installation did you get this message? For me, I picked everything. This is a VERY versatile media player. I've used it to investigate on dance videos. I slowed down playback and at the same time I zoomed into the video (to the feet of the dancer). A feature (set) I don't know from any other player. But well, if you are just the "press play and watch" type of person, Zoom Player is not a must; any player will do. But for (special) features, Zoom Player is the go-to player of choice. This is a VERY versatile media player. I've used it to investigate on dance videos. I slowed down playback and at the same time I zoomed into the video (to the feet of the dancer). A feature (set) I don't know from any other player. But well, if you are just the "press play and watch" type of person, Zoom Player is not a must; any player will do. But for (special) features, Zoom Player is the go-to player of choice. In reply to where you say, "...A feature (set) I don't know from any other player..."
I haven't tried to do this in Zoom Player yet, so perhaps the interface is easier. Just want you and others to know the capability is there in VLC. In reply to where you say, "...A feature (set) I don't know from any other player..." VLC will do that as well, with a zoom that will go in as close as you want and the ability to slow speeds down to (I believe) 25% of actual. Another nice thing is the ability to set an A-B loop while going over video, so you can repeat specific sections of any length. (Which might be useful when you're studying dancer's feet.) I haven't tried to do this in Zoom Player yet, so perhaps the interface is easier. Just want you and others to know the capability is there in VLC. Joe Blow, thanks for this info. Came up as having three indications on VirusTotal Scan, might be false positives, who knows. Probably just stay with MPC! Came up as having three indications on VirusTotal Scan, might be false positives, who knows. Probably just stay with MPC! Video picture quality is of course dependent on the display panel & its settings &/or calibration, but with newer codecs like H.264 [AVC] & H.265, the GPU [Graphics Processor] also plays an important role -- if the Windows device you're using has a low end CPU/GPU, it's simply not possible to get the very best video display. That's NOT to say it can't look Very good -- just that there are limits you can't get past. The Zoom Player does lots of media center type stuff, but it also enhances the picture you see -- if you're playing Blu-ray quality [or better] to a decent 4k display, it'll look better than using something like VLC or Windows Media Player. So will PowerDVD Ultra, which also can handle everything on a new release Blu-ray [it always goes on sale for ~$30 eventually]. So will MPC-HC, though it can be more work to set up the filters. Additional tools you might look at include madVR, LAV Filters, & the Codec Tweak Tool, which may help regardless the player you're using. madVR is intended to do a better job of rendering the picture to the display vs. the code that comes with Windows. There's an awful lot going on *under the hood* when you're playing video -- LAV Filters is intended to do a better job of that end of things vs. what Windows does on its own. The Codec Tweak Tool can help make sure you're using the codecs that work best with your device. You won't be able to take full advantage of what they have to offer with something like the lowly Celeron that's in the miniPC hooked up to our living room TV, but they can make some types of video watchable, though they're not necessary with regular Blu-ray. Does this player work with Logitech Harmony remotes? How do i find it in the Harmony database? leadfoot, you can control zoom player using several programs, we recommend Event Ghost since it's good and free and should work with most remotes. I use VLC and PotPlayer where does this differ or is it anyway better? Wipeout, I listen to music for many hours a day and to my surprise now that I switched from VLC to ZOOM I started to see the lyrics on the screen and/or also the album's pictures. That's nice and I didn't have it on VLC or POT. Can somebody help me with a serious if naive question? Most of the time (but not everytime), if I want to play regular DVDs, in Zoom Player (Max free 13.something) I only see the individual VOB, ZOT or whatever container files in that DVD, and I then can even see some minutes of the film in question, then I must look out for some other such file on the DVD, whilst other players (but I have thrown out the paid ones for their multiple problems, no sound, no image, crashes, etc., etc. : WinDVD and PowerDVD), e.g. K5, play the film in its entirety. I obviously haven't grasped Zoom yet, but delving for hours in their "help" section hasn't been successful for me either. Question, when this program gets installed, it automatically downloads and installs all the codecs needed. [As an alternative, you can decide which ones to install instead, although I think it's preferable for Zoom to do its thing.] Maybe Inmatrix will provide you with more information. Trying to play the VOB files will only play some portions of the video. Either you switch to DVD mode and press play or you must open the VIDEO_TS.IFO file in media mode to play the DVD. Trying to play the VOB files will only play some portions of the video. Either you switch to DVD mode and press play or you must open the VIDEO_TS.IFO file in media mode to play the DVD. Is this a music media center as well as video? I'm looking for an iTunes replacement and have not found a suitable one yet. Toesand, media monkey is great, free version does way more than iTunes. Works with apple devices, but if you have android, it syncs library wireless with your device both ways, including play counts ratings playlists etc. If you Google for media monkey licence, you will find a code that will unlock gold version. Toesand, I was wondering the same thing. Whenever I see media player the first thing I look for is if it would be a substitute for Windows Media Player. I am content with the VLC to play movies, I only need the basic functions like play, stop, pause, etc, I would get lost trying to figure out how or why there are other features. :) I guess if I made my own movies it would be a different story. I do want a good music player for both Windows and Android to organize my music and play my music how I want without having to make so many playlists. An older version of Windows Media Player had an option of playing music by the number of stars you gave a song, I don't know why they removed that feature. Velvet, see my comment above. Both excellent players. Windows Media lets you do that. Beside Organize/Stream click on Create Playlist,/ Create Auto Playlist. In the dialog box that opens select "Click here to add criteria" and choose My Rating in the list of criteria. You can add additional criteria, too. To rate a song right-click on a song and choose Rate and then choose 1 to 5 stars. Velvet, Windows Media lets you do that. Beside Organize/Stream click on Create Playlist,/ Create Auto Playlist. In the dialog box that opens select "Click here to add criteria" and choose My Rating in the list of criteria. You can add additional criteria, too. To rate a song right-click on a song and choose Rate and then choose 1 to 5 stars. Velvet, I want exactly the same as you especially the part about the playlists! Toesand, This may or may not be an improvement on VLC which I use when people send me audios or videos. From the comments it seems it is ideal for the specialist. But Windows media player is pretty hopeless, it never seems to work for anything I receive. Try this, if it is good, good. If not, use VLC, which is recommended by Computer Hope and is free and constantly updated. Keep Windows Media Player on your computer because as a microsoft thing it may be connected to something else, but do not use it. Set this or VLC as your ‘associated' programme when you click on a file. Toesand, This may or may not be an improvement on VLC which I use when people send me audios or videos. From the comments it seems it is ideal for the specialist. But Windows media player is pretty hopeless, it never seems to work for anything I receive. Try this, if it is good, good. If not, use VLC, which is recommended by Computer Hope and is free and constantly updated. 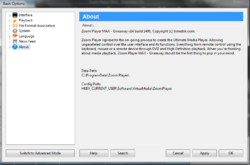 Keep Windows Media Player on your computer because as a microsoft thing it may be connected to something else, but do not use it. Set this or VLC as your ‘associated' programme when you click on a file. Laxative, Sorry, My reply was meant mainly for Velvet. leadfoot, my thanks for the hint about the list of criteria. That was exactly what I was looking for. I had looked all over but never thought to look at "create auto playlists." James Mote, I'll check them out. I like what Media Money says about their hard drive organization. If it works the way I hope it might, it sounds like a keeper. I try to have my music organized in files according to Artist, an easier way of doing that is always welcome. Storch, it isn't clear what DRM identifier you are talking about..
What version is it because I have version 14.0.0.1400 already installed? Marco, this is v14.0 . You can check it in options->about. Marco, this is v14.0 . You can check it in options->about. Inmatrix, on the third photo you can see which version it is with more informations. Marco, same exact version. I opened both with 7-Zip and only a few files were updated like zplayer.exe even though both were b1400. Edward, there is NO registration key provided this time as this today GOTD SW is already pre-registered. This is the MAX 14 Build 1400 (14.0.0.1400??) version, do not try to upgrade to another version and uncheck the check box in the System options noted: "Automatically check for player updates (once a week)" to be sure to keeep the good one. I already have V13.5 from a SOS giveaway. Is there anything in this version that is different from 13.5? I already have V13.5 from a SOS giveaway. Is there anything in this version that is different from 13.5? Cathy, here's the changelog: https://inmatrix.com/files/zoomplayer_whatsnew_archive.shtml. Cathy, all new versions have new features and fixes. To see a list of Zoom Player's capabilities click on https://inmatrix.com/zplayer/highlights/zpfunctions.shtml. webeye, in other words, accidently try to install update, it won't work. sometimes these 'giveaways', force the update then don't work. Will it play VOB files? Was this 'MAX' series formerly called 'PRO' ? • Decrypted Blu-Ray Movie playback with Subtitle support. • Video Wall (Span a single video across multiple monitors). • Create custom Mobile-Phone RingTones from playing media. • Scene-Cut (Dynamic, Virtual Audio/Video editing). • GuardDog (Automatically restart Zoom Player if the player becomes unresponsive). • Video Orbiting (Prevents screen-burns by slowly moving the video image every few seconds). • HTML, Flash and QuickTime Interactivity (Browse content from within Zoom Player, bypassing standard media controls)." Stewart Wallace, no, it wasn't. From my notes for an earlier version of Pro (which is no longer offered): "Building on top the success of Zoom Player PRO, Zoom Player MAX adds many Power-Features: • Decrypted Blu-Ray Movie playback with Subtitle support. • Video Wall (Span a single video across multiple monitors). • Create custom Mobile-Phone RingTones from playing media. • Scene-Cut (Dynamic, Virtual Audio/Video editing). • Non-Linear 16:9 (widescreen) / 4:3 (fullscreen) video scaling • GuardDog (Automatically restart Zoom Player if the player becomes unresponsive). • Video Orbiting (Prevents screen-burns by slowly moving the video image every few seconds). • HTML, Flash and QuickTime Interactivity (Browse content from within Zoom Player, bypassing standard media controls)." Stewart Wallace, we had 2 paid versions - PRO and MAX. Years ago, we removed the PRO version and have only MAX. Stewart Wallace, we had 2 paid versions - PRO and MAX. Years ago, we removed the PRO version and have only MAX. ... deas this SW have anything really special warranting using it instead of, say, VLC player (which I have been using for more than 15 years and have not seen anything better)? We have much better customization, a "Smart Play" feature which sets the best video renderer and splitter to get the best quality, video library, history, and much more..
Juqa Buqa, We have much better customization, a "Smart Play" feature which sets the best video renderer and splitter to get the best quality, video library, history, and much more..
BLA, 600 United Postal Services? Inmatrix, thanks for the reply and for the clarification! GTK. However, quick hot key adjustment of play speed would be great. Love to see that !! Doyle Allen, Agreed !! I love this player. However, quick hot key adjustment of play speed would be great. Typical convention on such things: Cntrl + or Cntrl - Love to see that !! Doyle Allen, you can set fast play rate and slow motion rate in Advanced options->Playback->Video->Controls. We also have keyboard short cuts and a way to change the keyboard functions if needed. Doyle Allen, you can set fast play rate and slow motion rate in Advanced options->Playback->Video->Controls. We also have keyboard short cuts and a way to change the keyboard functions if needed. Inmatrix, that is not user friendly. You should make it simple as holding the Ctrl key and pressing + to increase, or Ctrl + - to decrease speed, instead of all that you partially suggested. Your method is not user friendly. May be fine for your developer or engineers, but not the common folk such as I. lol Thanks for your reply though. I tried the KB shortcut . and , for rate change, but saw no rate change. I also tried to change the default rate 8x to 2x but saw no effect. I tried the KB shortcut <alt> <ctr> . and , for rate change, but saw no rate change. I also tried to change the default rate 8x to 2x but saw no effect. Doyle Allen, there ARE keyboard shortcuts for it! M. H., Alt+Ctrl + or - does not change a speed on playing video. I am using Windows 10. Maybe that was suggested for Mac instead?! Dunno. Could anyone can tell me which keyboard key for speed rate change? I tried alt+ctr . or , which does not work on WIN7. Doyle Allen, I'm on Win10, too. CTRL+ALT+, reduces playback speed by 10%, CTRL+ALT+. increases playback speed by 10%. But you can also press L for toggling slow-motion mode or SHIFT+Z for toggling fast-motion mode or F for toggling super-fast forward mode. I've tested all of these shortcuts and they work fine with Win10 and today's offered giveaway. Btw, in the settings you have the option to view (and edit) the defined keyboard shortcuts! Doyle Allen, I'm on Win10, too. CTRL+ALT+, reduces playback speed by 10%, CTRL+ALT+. increases playback speed by 10%. But you can also press L for toggling slow-motion mode or SHIFT+Z for toggling fast-motion mode or F for toggling super-fast forward mode. I've tested all of these shortcuts and they work fine with Win10 and today's offered giveaway. Btw, in the settings you have the option to view (and edit) the defined keyboard shortcuts! Doyle Allen, far too many parts that make working with that program very difficult. TK, An APK file is an app created for Android, Google's mobile operating system. Some apps come pre-installed on Android devices, while other apps can be downloaded from Google Play. Apps downloaded from Google Play are automatically installed on your device, while those downloaded from other sources must be installed manually. Colin, .apk are applications for phones, not videos. Colin, An APK file is an app created for Android, Google's mobile operating system. Some apps come pre-installed on Android devices, while other apps can be downloaded from Google Play. Apps downloaded from Google Play are automatically installed on your device, while those downloaded from other sources must be installed manually. Hadrianus, not exactly true... in all android devices there is an option to allow installation from unknown sources, enable that and you can install app stores other than google play store like Amazon AppStore and those will then be installable in the same way as a google play store application. Just to be clear I know exactly what android APK application package files are I was querying what the Original Poster (OP) thought .apk videos were! I would have thought that would have been obvious from my original reply to the OP. TK, answer from Faiz Agil Wirawan. APK (Android Package Format) is the package file format used by the Android operating system for distribution and installation of mobile apps and middleware. More I do not know, I do not use Android. An APK file is an app created for Android, Google's mobile......found on Internet! TK, answer from Faiz Agil Wirawan. APK (Android Package Format) is the package file format used by the Android operating system for distribution and installation of mobile apps and middleware. More I do not know, I do not use Android. An APK file is an app created for Android, Google's mobile......found on Internet! I use PotPlayer for many years. What does this player has that PotPlayer doesn't? Can it play Bluray disks and movies??? Johann, Blu-ray disks....You do need a Blu-ray player / burner in your PC to be able to do that. And a program to run Blu-ray. Johann, Blu-ray disks....You do need a Blu-ray player / burner in your PC to be able to do that. And a program to run Blu-ray. Johann, It won't play commercial or any other Blu-Ray that has DRM and/or is encrypted. You have to step up to a pay version for that. This is a really good media player, otherwise. Christian, are You sure ? there is any difference between GOTD and pay version . Maybe it play Bluray in a pc with Bluray drive ? Christian, are You sure ? There is nothing in the description above that there is any difference between GOTD and pay version . Maybe it play Bluray in a pc with Bluray drive ? Christian,.... Blu-Ray that has DRM and/or is encrypted.......Is that true? Slumdog Millionaire (2008) 1920x1080 I received as m2ts, an excerpt from a blu-ray disc. Christian, what free players can handle commerical BRDs? Linda, I'd hoped the publisher rep would have responded to this topic. Yes, there appears to be no Blu-Ray difference with the pay version. Both require decrypted Blu-Rays. Hadrianus, I tried four with no luck. The oldest was Master and Commander, 2007. All run just fine on my system with a dedicated Blu-Ray player. I tried some (well, two) m2ts files from Miss Peregrine's Home. Same error code as with the rest of my attempts. Ant, I use Leawo which is free. Google it. It has no frills whatsoever. Occasionally, I have to use keyboard navigation. There are others out there which I tried when I was looking a couple years ago. Leawo works well for me, but your mileage will vary since it seems that folks are all looking for something different. Meanwhile, for the rest of my media, I may give VLC a bit of a rest while I work out Zoom. Zoom is certainly prettier and offers much more customization. It's the day to day stuff that I need to try. Ant, I use Leawo which is free. Google it. It has no frills whatsoever. Occasionally, I have to use keyboard navigation. There are others out there which I tried when I was looking a couple years ago. Leawo works well for me, but your mileage will vary since it seems that folks are all looking for something different. Meanwhile, for the rest of my media, I may give VLC a bit of a rest while I work out Zoom. Zoom is certainly prettier and offers much more customization. It's the day to day stuff that I need to try. Christian, You have to remember that all Media Codecs must be present on your computer. K-Lite_Codec_Pack_12.4.4_Standard has them all. Also H 265 Media Codec and Media Player Classic. 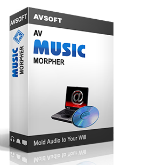 I got this at another give away and it is an excellent player, better than free alternatives. It will play anything, video looks crispy and smooth. and since then I've never used or needed another...a really big thumbs up for this one!! absolutely the best media player I've ever used....started back at version 8.3 and since then I've never used or needed another...a really big thumbs up for this one!! Myk Kelly, if you say your name backwards do you disappear for 90 days like the Superman villain?